Startup Runway is a 501(c) nonprofit organization dedicated to showcasing the top 10% of women- and minority-led startups across the Southeast and connecting them with sophisticated investors who understand early-stage companies. We’re keeping track of our finalists, and will publish updates on them regularly. Today we’re catching up with two of our past finalists who are having a year of firsts, honorCode & LawnTap! 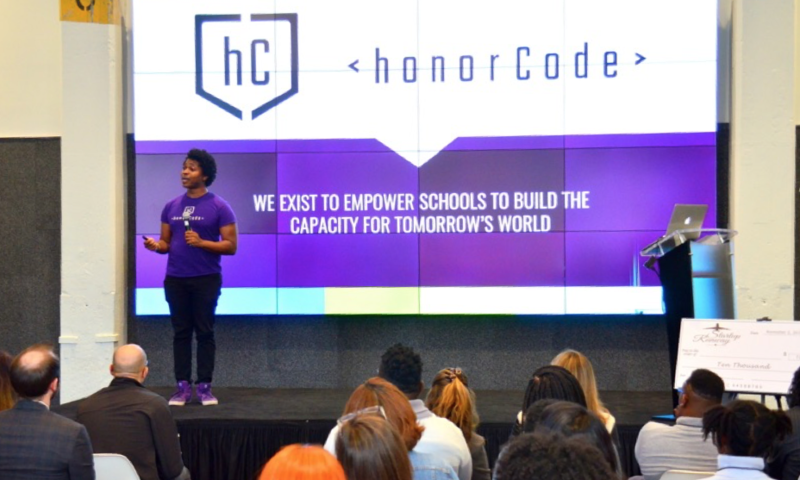 honorCode is a non-profit social enterprise that provides curriculum, training, and connection to industry professionals to schools in an effort to bring more web development into K12 classrooms. honorCode helps teachers integrate coding into classrooms and offers direct instruction to students in the classroom and through after-school programs. “honorCode just had its first Future Workforce Conference,” said Jeffrey D. Martín, President & CEO of honorCode. This was a two-day symposium that brought together educators and business community leaders to establish new partnerships in an effort to bridge the workforce-education gap. Another one of our previous finalists, LawnTap, has created a network of lawn-care professionals within an app that makes it easy for property owners to schedule quick and easy outdoor landscape services. They have made an Artificial Intelligence (AI) bot, Gaia, that tailors the best lawn care solution for the property owner. When homeowners sign in to the app, Gaia records information on their individual lawn, analyzes additional services, and then provides the homeowner with a custom quote. Wilkinson Egwu, Co-Founder & CEO of LawnTap, informed us that the company has been accepted into the accelerator collaboration, Summer of Acceleration. This is a 100-day intensive, educational program that speeds the development of high-tech, high-growth startup companies. LawnTap is one of the 12 startup companies participating in the third Summer of Acceleration. We love to see our finalists taking advantage of new opportunities and we want to help your startup reach new heights, too! Startup Runway is currently looking for high-velocity tech startups from women and minority founders to participate in our Fall 2018 Showcase on November 1. If you would like to participate in Startup Runway 2018, you can learn more about the qualifications and application process here. You can also click here if you would simply like to purchase tickets for our Fall 2018 Showcase. Previous PostSubmit your application for our Spring 2019 Showcase today!